I saw at least two stories over the holiday about seed banks and seed exchanges being in trouble. The premise is that seed companies need to sell seed that has a standard germination rate, set by the “industry,” so folks don’t spend good money on bad seed. In order to enforce this, some states have laws about seed that is distributed being germination tested. Most community seed banks can’t afford this, or do it in-house as many commercial seed companies do. Really it all comes back to money, and trying to protect the consumer, but it gets hijacked by some brain stem with a pulse in government who doesn’t want free seed being given away unless it is germination tested….. Sound silly? I thought so. So, for a second year (Not in a row, that would be too puny.) we are coordinating a community seed exchange. The details are below, and the only request is that you jump on Facebook and indicate that you are coming. That way we can make sure we have enough zip-tie handcuffs for all you wild law breakers out there. Just kidding about the handcuffs, but we do need to have an idea of how many folks will be there. It’s also a bit of a potluck/snack bar, so please let me know if you want to bring something, and I can put you in touch with the person that is coordinating food. After all, too much guacamole is too much of a good thing, especially if there are no chips to go with it. “Are you ready for the 2015 garden season? Do you save seed from your garden to re-plant next year, or do you want to learn how? 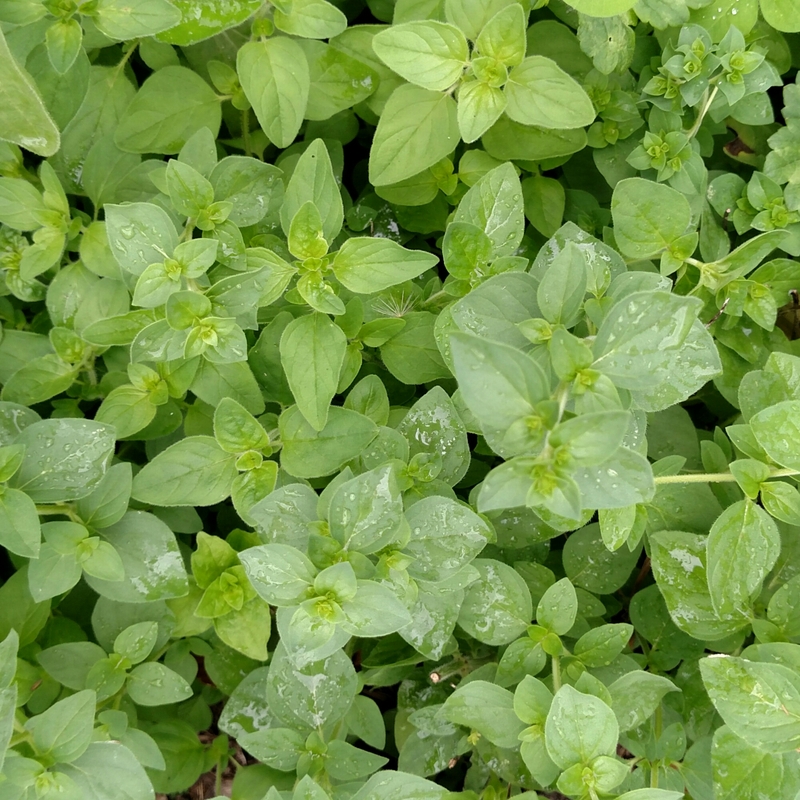 If you have seed to swap, plan to bring 4-8 shares (enough for a family garden), please germ test the seed if at all possible, and please pick just one or two of your favorites. Details on the actual exchange process to follow… And we do have a start on some door prizes…. And just to be clear, you don’t need to have seeds to swap to come, but if you don’t have seeds to swap, you won’t be able to participate in the seed exchange. This entry was posted in Farmer Adam, Food and tagged friendly farms, local produce, Organic, Seed Exchange, seed saving, Small Farming, Sustainable farming on January 3, 2015 by adalynfarm. Keeping knives sharp, caring for us, our community and the land. And the CSA. I like knives; they are an incredibly useful tool. I especially like sharp knives. In fact, it’s almost a family joke that whatever knife I’m carrying will be shaving sharp. This idea has permeated into our close community, and I get asked from time to time to recommend a good sharp knife. Typically I will get into the specifics of knives, their uses, blade style and personal preference (Yes, I’ll head down any good rabbit trail.). Given that almost all knife manufacturers ship their knives shaving sharp, people get the sharp knife they asked me about. What never comes up in these conversations is the maintenance, the required care that any knife will take to maintain its razor edge. 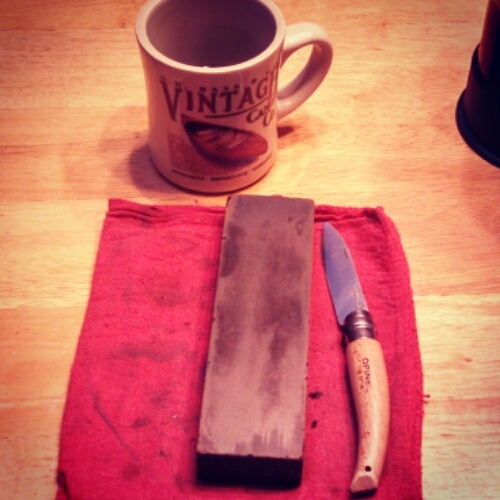 I can tell you a secret; the maintenance is constant- one must be careful about how the cutting edge is used, resharpening is frequent, and the blade must be protected while in storage. And don’t forget more resharpening. We feel the exact same way about our farm and the food it produces. Just like some folks would rather buy a new knife when their old one is dull, some people want a quick, easy solution to their food needs. We are willing to do the work, not only to have the best quality food available for us and our community, but to ensure that the production process (growing) of that food is humane, sustainable and realistic. What I mean by this is we want to make sure the earth is maintained through the growth of the food for now and with an eye on the needs of the future. That it’s humane; the needs of the animals as living creatures comes before the profit that they represent. That it’s sustainable, not asking more of the farmer or the land than it can give perpetually. And that it’s realistic; I wouldn’t buy a knife that required sharpening after each use, and we won’t grow food that places unrealistic expectations on the animals, the land, the production system, or us. All that said, the knife still needs to be sharpened, the soil fed, animals cared for and our community provided for. That is where we are headed in 2015. We will be offering more to our community: more chickens, turkeys and pigs. In fact, we will probably be producing all the animals we feel we can on the property we have now without compromising the standard of care for the land and animals. 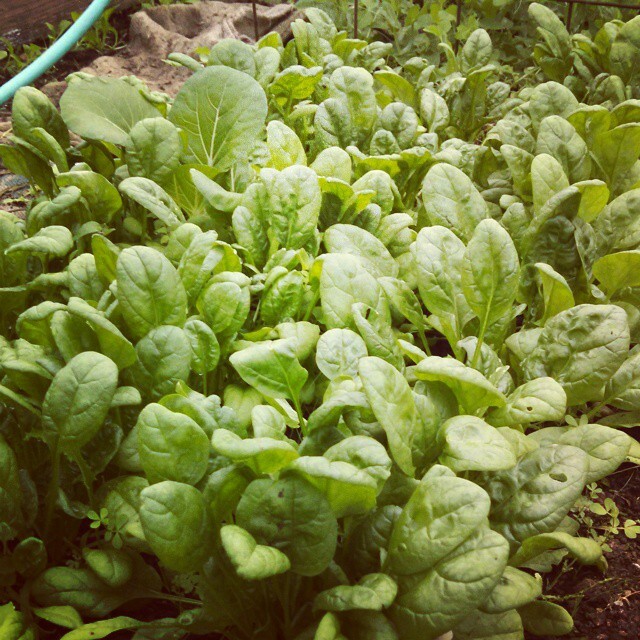 We hope to be able to offer beef as well and will be offering our first trial-run of a Vegetable CSA. Given our long-term goal of full-time farming and the realistic limitations of the property that we are stewarding, vegetable production looks to be our best option for our primary income stream. After several years of running meat animals on pasture, we know that for us to expand, we will have to dive into vegetable production. We just don’t have enough land to raise the number of animals we would need for full-time farming to become a reality. Given that 2015 will be our first year of a Vegetable CSA, we are starting small and keeping it simple: on farm pick-up, no crazy new garden produce you aren’t familiar with, and a willingness to iron out the details as we unfold this new part of Adalyn Farm. We are super excited and extremely motivated to work our way through the hurdles. Until then, Merry Christmas, and we look forward to serving you in the New Year! 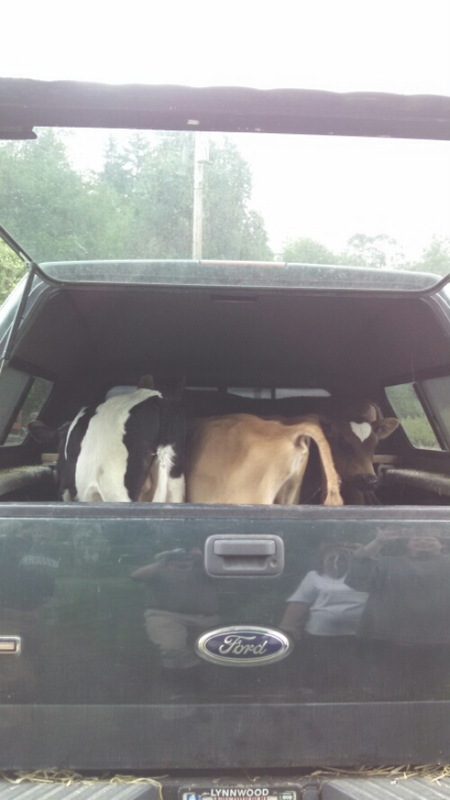 This entry was posted in Farmer Adam, Food and tagged family farm, friendly farms, Organic, Stanwood, Sustainable farming on December 23, 2014 by adalynfarm. It was getting cold. But then yesterday, it was 70… That does mean that winter greens are a full go. In fact, we are trying out some really late sowing. 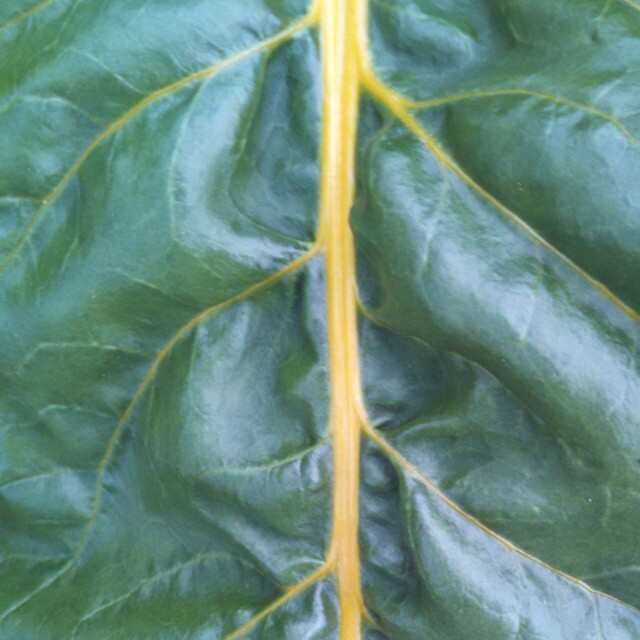 Elliott Coleman has written several books about winter greens, and he lives several degrees north of us. So we get more sun, and less snow. It’s a process right? So’s the farm. 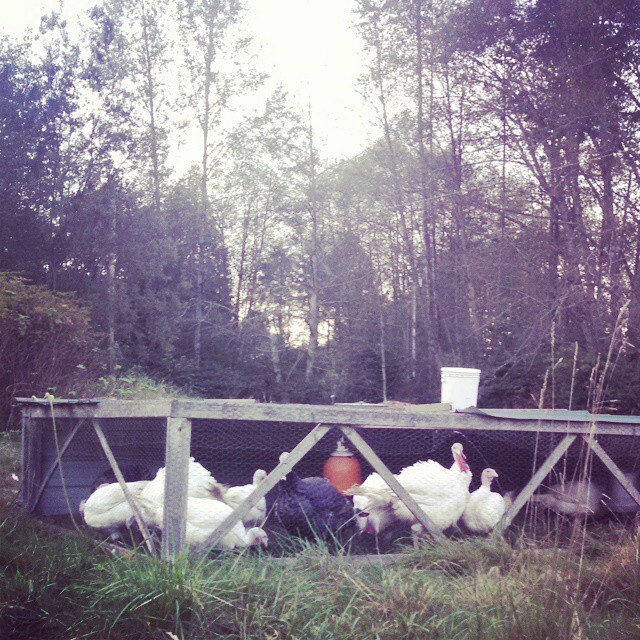 Turkey’s go to ice camp later this week, and we had a stretch of nice weather, so I figured I’d show you around the farm. 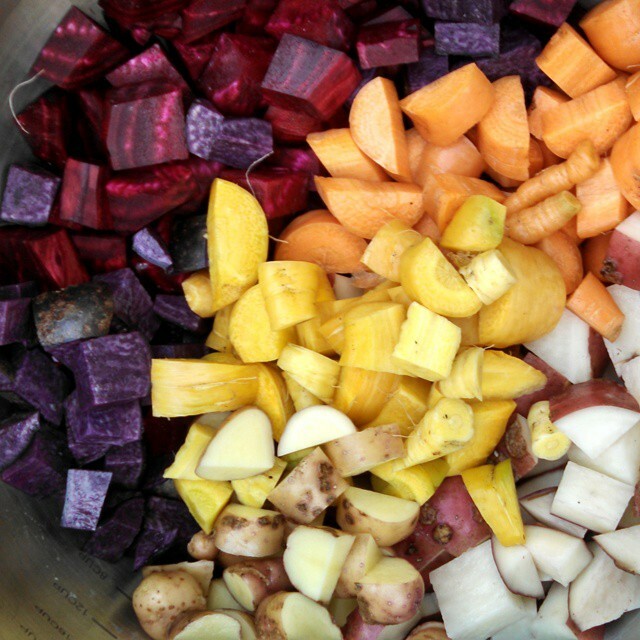 We love winter root veggies. Roasted. So, there is the farm! For today anyhow. It changes from day to day, and really from moment to moment. Next year is going to be similar but really different too, as in more of the same. We are looking forward to next year. After this winter, cause just like the garden, and pasture, and dairy does, we all need rest. 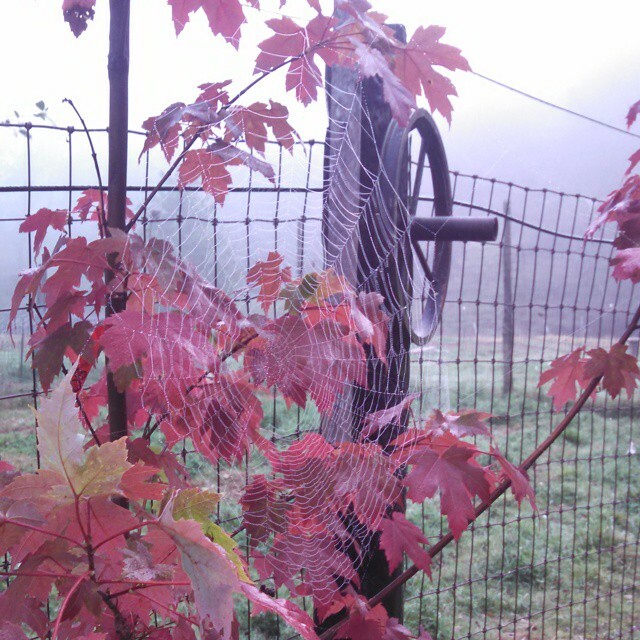 This entry was posted in Farmer Adam, Food and tagged friendly farms, local produce, Organic, Stanwood, Sustainable farming on October 20, 2014 by adalynfarm. Here are the boys, all of them over 90# and two over 120# getting the last of their morning grain on the farm. They all got a window seat, and also helped clean off the interior of the canopy with their Velcro tongues. Unloaded at the the new home! 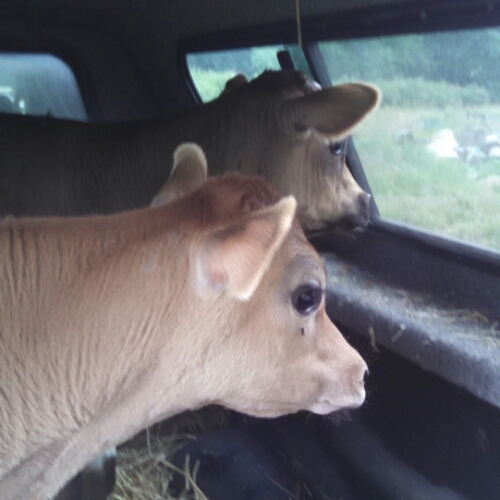 They will eat their way through the 8 acres of fenced paddocks at our friends farm till September of 2015. They still have a long way to go, and lots of good food ahead of them. 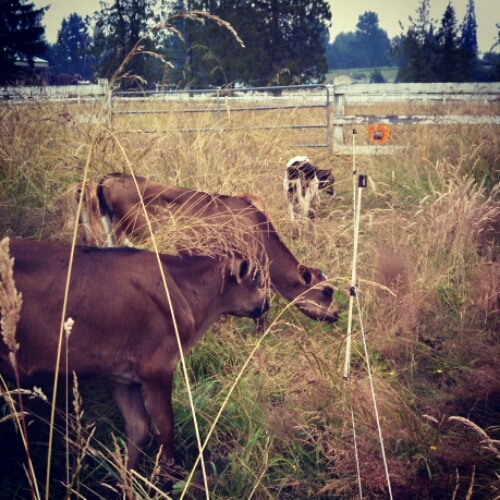 This entry was posted in Critters, Farmer Adam, Food and tagged Organic, Pastured Beef, Small Farming, Stanwood, Sustainable farming on July 11, 2014 by adalynfarm. Meat Chickens are on their way!!! It’s finally time! The cute little fluff balls will be showing up via US mail next week! That’s 100 little nuggets, that will get all organic feed, fresh air and sunshine in our chicken tractors, to spend all their days on our farm. Then we’ll process them and you can pick them up!! We will be processing them on Saturday August 16th, and yours should be ready to pick up in the afternoon! “How can I get in line for these?!?! ?” Well, as we have kids, we are aware of trying to keep everything fair. We will send out the pre-order/contract to folks in the order that they reply to this e-mail, they will have 48 hours to get the deposit to us, and as folks get us their deposits they will get their place in line. So, it might take a few days for you to get the order form if other folks are in line in front of you. Yes we did think of just sending out the order form, with our PayPal info and such, but, we didn’t want to deal with returning deposits for dozens of birds if lots of folks responded without checking to see if we still had some available. You can also call if you would rather, or have questions, but we do need the signed contract and deposit to hold your birds. 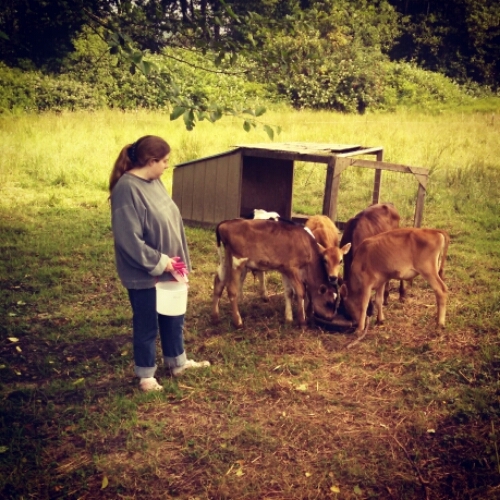 This entry was posted in Farmer Adam, Food and tagged Organic, Pastured Poultry, Small Farming, Sustainable farming on June 20, 2014 by adalynfarm.